You are not allowed to nominate the blogger who nominated your blog! I’m currently studying English/Creative Writing at the University of Northampton. I am in my second year. I’ve been teaching myself to play guitar for the last couple of years. My 5 favourite bands are The Beatles, Green Day, The Smashing Pumpkins, My Chemical Romance and Foo Fighters. My Favourite Authors are Darren Shan, Stephen King, Lemony Snicket and Harlan Coben. I have long hair because I don’t want to pay to have it cut. My favourite films are Scott Pillgrim, Drive, Shaun of the Dead and the Resident Evil series. I’m partially blind in my right eye. I have watched the entire friends series from start to finish 5 times. I love it. Along with Community, arrested Development and Big Bang Theory it is one of my favorite shows. E-book or printed book? – Both. I will read digital but get my favourites in print. If you were to get a tattoo, what would it be? – Don’t know. Something weird. What is one thing you wish you could do? – Do presentations without getting nervous. If you could read only one more book before you die, which one would it be? – War and Peace. I will make it last. Why did the chicken cross the road? – Because that’s exactly what we expect him to do. PC or MAC? – PC. If you could be any fictional character, who would you be and why? – Spider-man. Because he is awesome. Do you think Crash Bandicoot is awesome? Which is better – A purple dog with an apple on it’s head or a cow with a giraffe’s neck? Have you, or do you want to read Uylsses and why? Do you find it as hard to write 11 random questions? This entry was posted in Uncategorized and tagged Answers, Award, Questions, Reading, Writing, Young Adult Books. Bookmark the permalink. 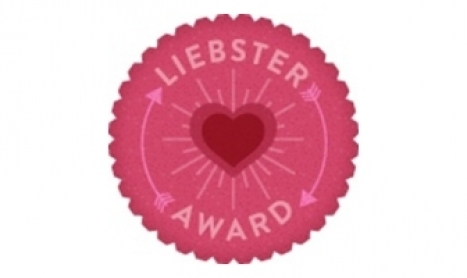 4 Responses to Liebster Award! Thanks for including me. I am truly honored! Unfortunately I’m in way too big of a time crunch at the moment to follow it up, but you get cool points for listing my blog. Plus there will be no whips in your future…probably. No problem. And thanks, I think. Thanks, Ashley, for including me. I’m having a tough time thinking of questions, but I will muddle through. No problem. Good luck, and enjoy.